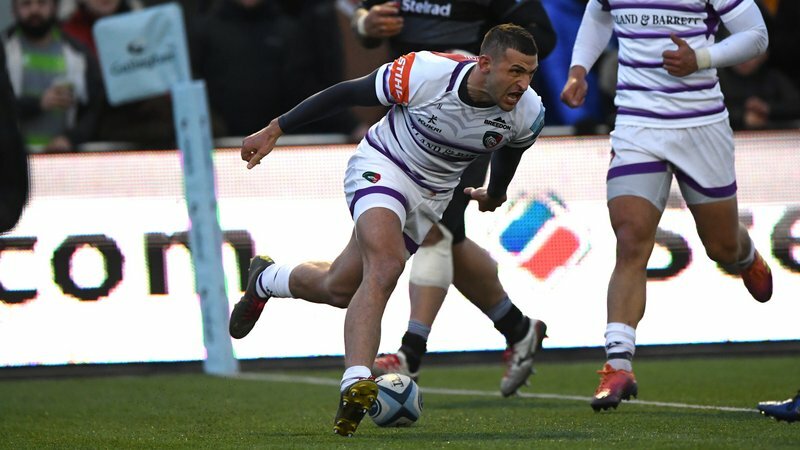 Leicester Tigers fans can enjoy huge savings on match tickets when European rugby returns to Welford Road this festive season with the visit of Racing 92 to Welford Road (Sunday, December 16). What’s more, every Tigers season ticket holder can also receive one additional ticket to the game completely FREE as the club celebrates the first of two festive home fixtures this December. As Tigers look to build on their ‘performance of the season’ against Scarlets in Round 2 of this year’s Heineken Champions Cup, we’re getting fans in the Christmas spirit with a family fun day before and after the 1.00pm kick-off. There will be live music, Santa’s grotto, mulled wine, fairground rides and Christmas markets plus a whole host of activities to get all the family in the mood to cheer Tigers on. The party continues after the match with resident band Rock Bottom entertaining fans in the Final Whistle Bar as well as activities and bars remaining open until 5.00pm. 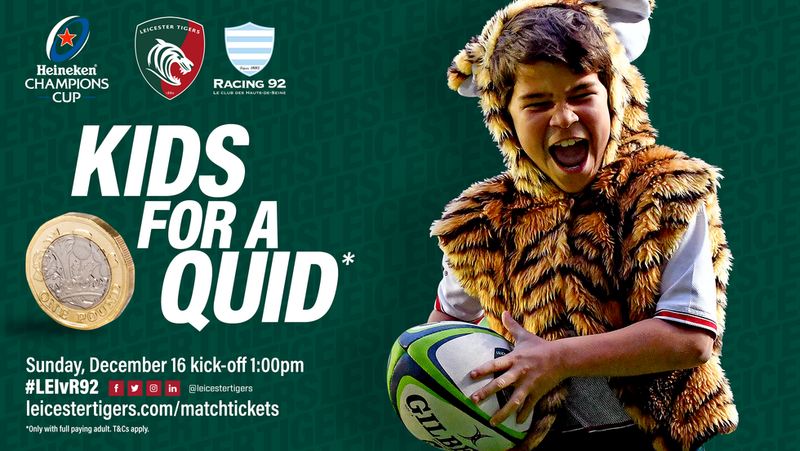 Supporters can take advantage of our ‘kids for a quid’ offer by simply calling up the Leicester Tigers ticket office on 0116 319 8888 (option 2) and purchasing a match ticket or providing your match ticket Tigers reference number. Season ticket holders will also have the option of receiving an additional match ticket for the game, which is just one of the many season ticket holder benefits available to fans. 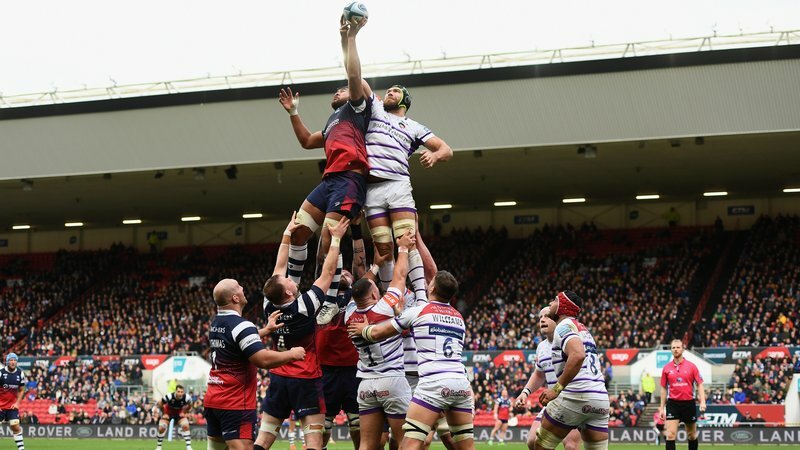 To claim, simply call up the Tigers ticket office and request your free ticket or log in online and select your free extra ticket – this will be displayed as £0 at the checkout and fans have the option to print off at home. Both ‘kids’ and ‘season ticket’ tickets will be available as print-at-home. If you require your match tickets to be posted, please contact our ticket office. Please note, the Tigers ticket office will be closed between 4.00pm on Thursday, November 29 and noon on Tuesday, December 4 as the club installs its new ticketing system. This means all fans who have requested postal delivery of match tickets for home fixtures will not receive these until after the new system is in place. 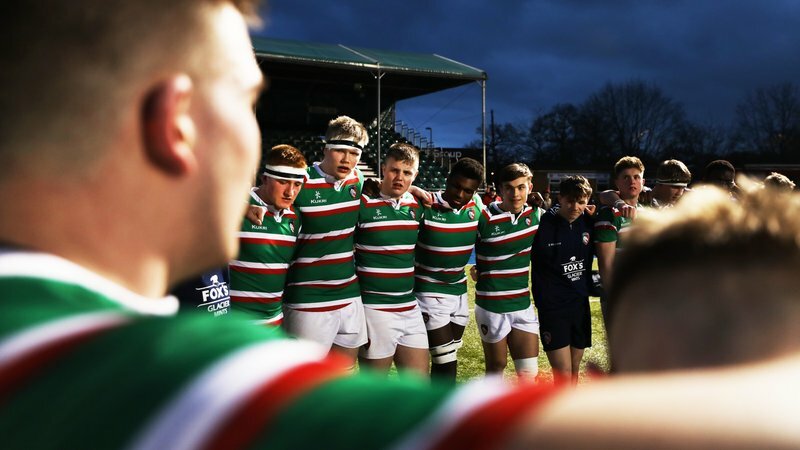 The festivities continue at Tigers final home game of 2018 when Harlequins make the trip to Welford Road on Saturday, December 22. Fans, families and friends will get a flavour of Christmas starting the celebrations early as Tigers look to end the year in style. 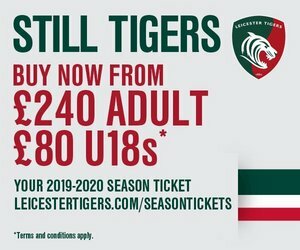 Match tickets for both of Tigers December fixtures are available by visiting the Welford Road ticket office, calling 0116 319 8888 (option 2) or visiting the link below.